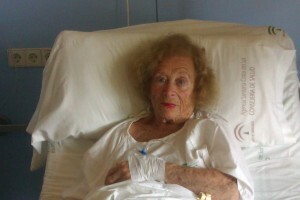 Julia Hilling is making a quick recovery at the Costa del Sol Hospital after suffering a hip fracture. We hope that she is soon out to continue the fight against Rothschild. 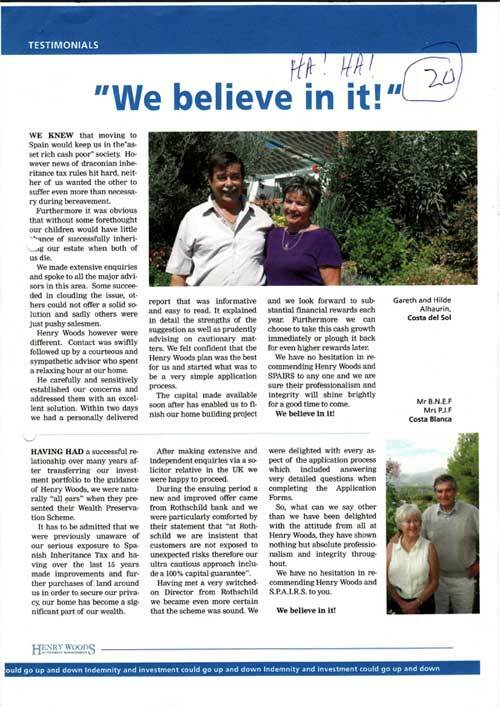 As explained on a previous post, the “Hacienda” has now confirmed what many believed: that attempting to mitigate inheritance and wealth taxes by taking out a mortgage loan on a property that was otherwise unencumbered is tax fraud. What are the implications of this conclusion for the banks? In principle, the consequences can vary enormously depending on whether banks misrepresented their clients by making them believe that they could mitigate taxes legally, when this is untrue, and this can be proven in a court of law. Where proven, the contracts can be declared void and the bank forced to lift the mortgage on the property, and by application of article 1.306 of the Civil Code, be prevented from claiming the draw downs. Banks that have assisted inheritors in collecting life assurance/insurance payments on death of the policy holder, without demanding that taxes were paid, can become “substitute taxpayers” and end up footing the bill. Where the owed tax exceeds €120,000, this could constitute a crime under the Spanish Penal Code, punishable with prison terms. Taxpayers may have effectively mitigated taxes by declaring the charge to represent a “true” debt, in the belief that they were doing the right thing. The right of the Tax Office to demand unpaid taxes are not compromised by virtue of agreements between the cheating banks and their victims and so, they can pursue taxpayers. One thing is now clearer: property owners are now in a far better position to pursue the declaration of voidness/nullity of the equity release agreement, as a single juridical contract, given the gross misrepresentations by banks, and their agents, when selling this fraudulent product. The Spanish Tax Office has finally ruled on the validity of using mortgage loans to avoid wealth and inheritance taxes. ERVA will post the original binding consultation letter, named as CONSULTA VINCULANTE Patrimonio -01347-13, in the next couple of days. That a calculation for wealth tax cannot take into account, and be reduced by, the value of the mortgage loan, unless the loan is used for the purpose of financing the acquisition of the property, as it is not otherwise considered to be charge on the property, but a personal debt. That according to article 7 of the Inheritance and Gift Tax Act, non-residents for tax purposes will have to pay taxes on any sums received from life insurance policies signed by Spanish companies or foreign companies operating in Spain. That the capital of a mortgage loan granted to a non-resident by a foreign bank is not subject to IHT. That a calculation for IHT cannot take into account, and be reduced by, the value of the mortgage loan as logically, the mortgage loan is not considered to be a charge on the property but a personal loan. Estimada Sra. Izquierdo: La contestación V0590-13, fechada el 25 de febrero pasado, establece la no deducibilidad en la base imponible del Impuesto sobre el Patrimonio, para supuestos de obligación real de contribuir, del préstamo hipotecario extranjero en cuanto no es carga o gravamen de la vivienda, sino deuda. En el ámbito del Impuesto sobre Sucesiones y Donaciones y para la misma hipótesis de obligación real de contribuir, como decíamos en la mencionada contestación, el causahabiente no tributará por el capital del préstamo y, como es lógico y resulta de no tratarse de carga o gravamen sobre la misma, tampoco podrá minorar el valor de la adquisición de dicha vivienda en el importe del préstamo. 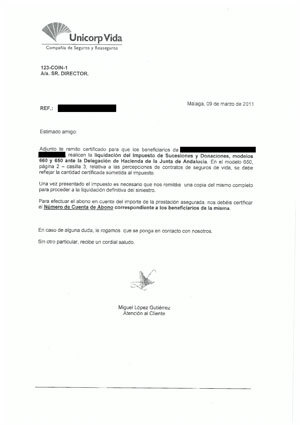 Confío en que quede así aclarada la cuestión planteada. 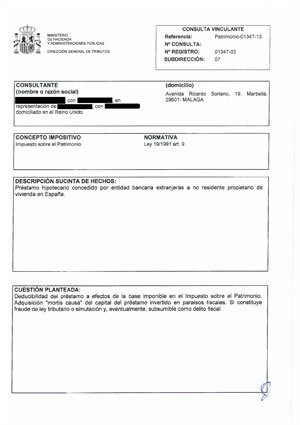 Subdirector General de Impuestos Patrimoniales, Tasas y Precios Públicos. Finally, we have requested from the Tax Office that the email below is incorporated to a binding letter.